COUNTRY CHARM . . . Small ranchette on 10 acres with fenced pasture. Privacy, views, and a place for all of your animals. 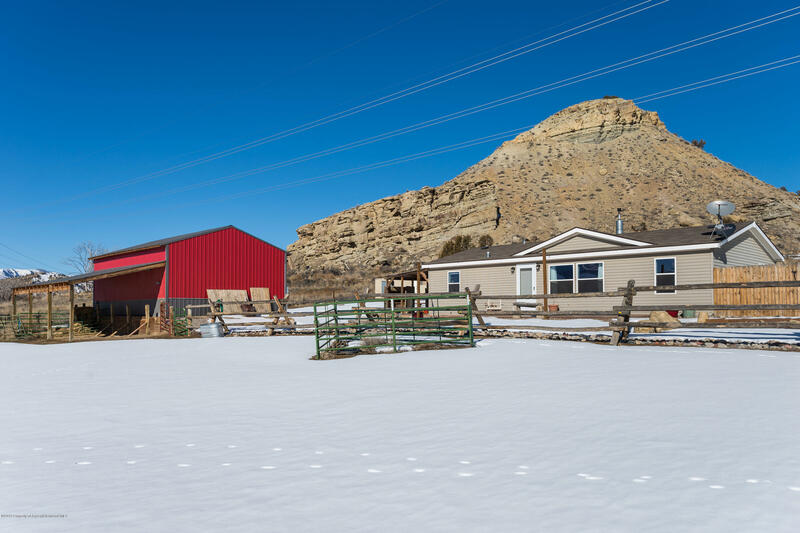 Completely set up for horses, fenced dry lot and pasture. Approximately 5 acres is irrigated (you can add more if wanted) with 5 acre feet of Silt Project irrigation water and 2 shares of Farmers. Newer 24' x 32' barn has shelving, electrical, concrete floor and new overhead door. Enjoy the beautiful sunsets and unique rock outcroppings.